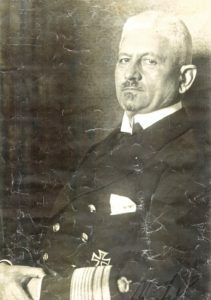 Ludwig von Reuter (1869-1943) came from a strongly military background. His father had been a Regimental commander, his brother was a General. Before being given (he was not ‘ordered’) the role of taking Germany’s Fleet in to internment, he had commanded the Aufklärunggruppe, the German Navy’s Scouting Forces. 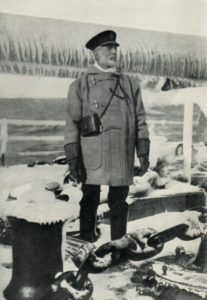 Sir Sydney Fremantle, pictured on Northern Patrol in 1917. 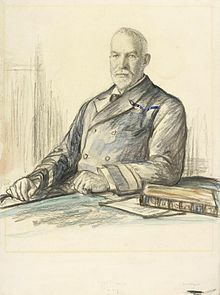 Sir Sydney Fremantle (1867-1958) came to Scapa Flow on 18 May 1919 with the 1st Battle Squadron, the five Revenge-class battleships whose duty it now became to guard the interned German ships in the Flow. 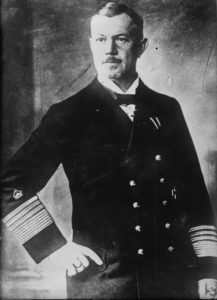 As Senior Officer commanding Orkney and Shetlands, Rear Admiral John Prendergast (1864-1946), on HMS Victiorious, he had been appointed to Scapa Flow in May 1916 on HMS Imperieuse. Prendergast was responsible for the ongoing operations of the Navy in the Northern isles. 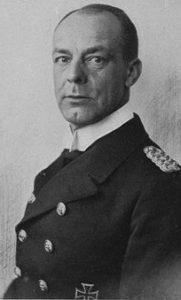 Rear Admiral Hugo von Meurer (1869-1960) was sent by Hipper to negotiate the final conditions for the Internment of the German Navy at Scapa Flow and the parallel surrender of the submarine arm. 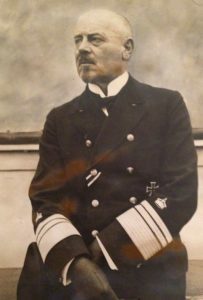 Admiral Ritter Franz von Hipper (1863-1932) commanded the battle-cruisers at Jutland in May 1916. 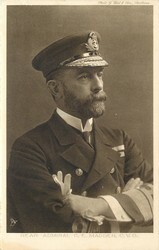 Admiral Sir Charles Madden (1862-1935), John Jellicoe’s brother-in.law, took over the command of the Grand Fleet after Sir David Beatty. 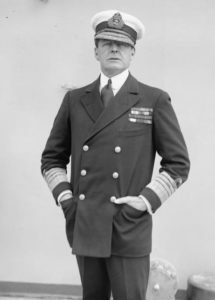 Admiral Sir David Beatty (1871-1936, commanded Jellicoe’s Battle Cruiser Fleet at the Battle of Jutland and then took the command of the Grand Fleet when Sir John became First Sea Lord at the Admiralty on 28 November 1917. 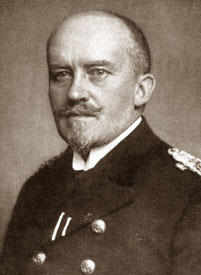 Rear Admiral Adolf von Trotha (1868-1940) is reputed to have given von Reuter his orders verbally when the latter returned to Germany in the New Year 1919. The British decided not to bring von Reuter to trial with the evidence of the letter found in the Emden’s safe (von Trotha to von Reuter 9 May 1919) as they doubted they could win the case. 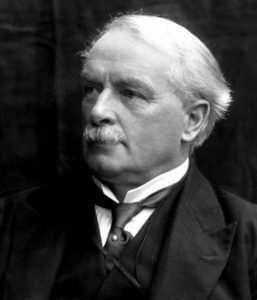 David Lloyd George (1863-1945) supported the Americans (CNO Benson) and the French (General Foch) in insisting on interning the German Fleet as opposed to taking its surrender. It meant the ships were still German property and the British could not post guards on them.